Cheval mirrors and dressing room mirrors are the perfect compliment to your bedroom or dressing room. Mirrors that look beautiful to help you look beautiful. Stylish frames available in a variety of shapes and sizes. Cheval mirrors and dressing room mirrors are a designer way to ensure you and your home look the part. Get one today at MirrorWorld. 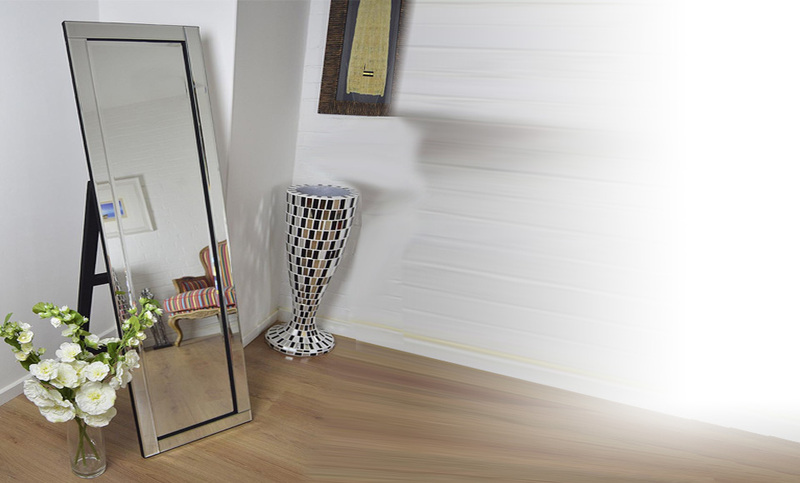 Cheval mirrors are a sophisticated and practical addition to most rooms. 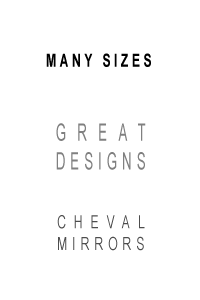 At MirrorWorld we produce some beautiful examples of the design, first seen in Paris in the 1700s. Cheval mirrors are long vertical standing mirrors swathed in ornamental frames which are fastened to a weight bearing base by a pair of swivel screws. The base comprises of two vertical pillars carried on a pair of feet. Cheval mirrors and dressing room mirrors are the perfect complement to your bedroom or dressing room. Mirrors that look beautiful to help you look beautiful. Stylish frames available in a variety of shapes and sizes. Thank you, received the mirror as promised last week.It is great. Find your perfect cheval mirrror from our unique range. Just right for the finishing touch to any bedroom.